Membership meetings are held every second Monday of the month at 7:30 pm at the Polish American Club 472 E. Glenwood Ave. Akron, Ohio. Non-members are welcome attend. Click here for map. 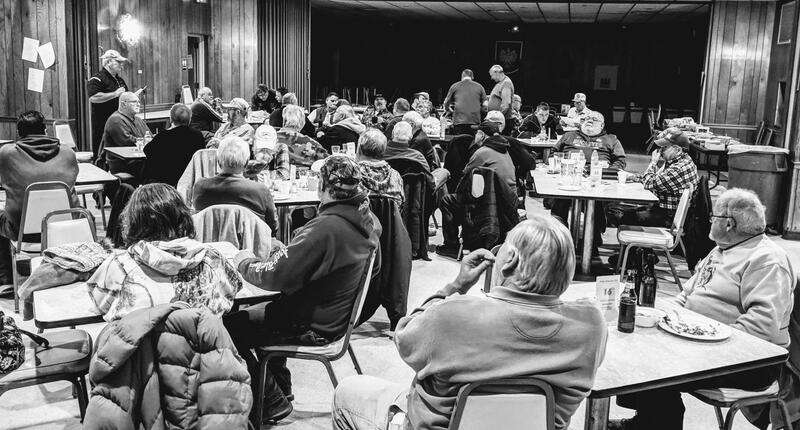 The Summit Sportsmans Association meets the 2nd Monday of the month September through June at the Polish-Amererican Club, 472 E. Glenwood Ave (corner of Glenwood & Dan St.) Akron, Ohio at 7:00pm. Visitors and prospective members are always welcome. Click HERE for map to meeting. The Mission of our organization is to improve our skills as hunters and anglers through fellowship and a friendly exchange of knowledge, techniques and ideas. We will promote and encourage recreational enjoyment of hunting and fishing. We will support our state conservation departments efforts and report problems and concerns. Our monthly Club meetings are fun and laid back! We have door prizes and raffles at every meeting. The SSA also seeks out local skilled professionals to speak at the meetings about relevent topics relating to the outdoors. All are welcome to join a meeting to see what we are all about.